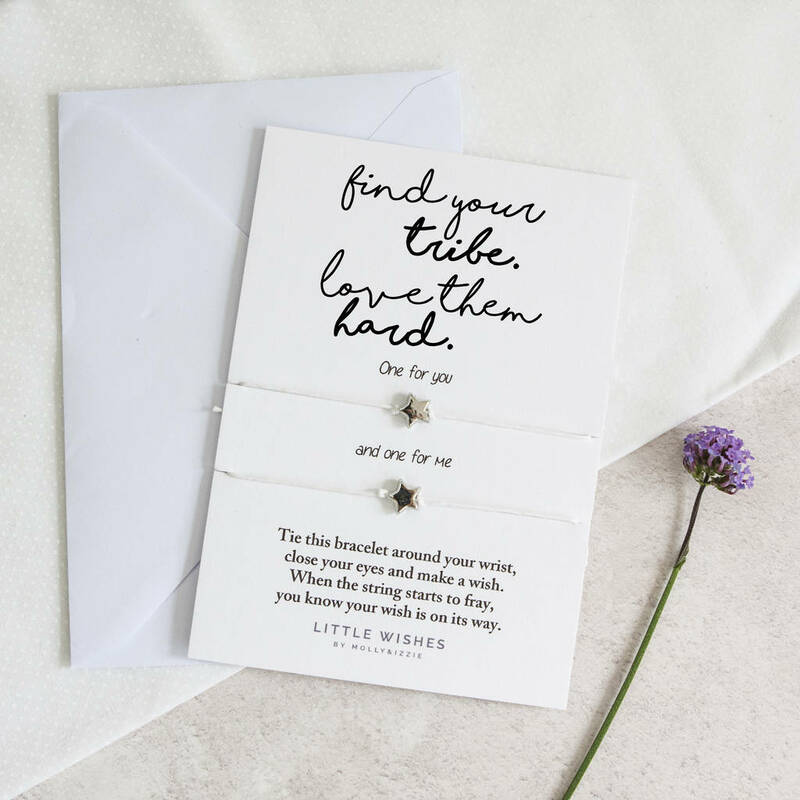 This beautiful pair of luxury wish bracelets come with a matching envelope and make a great present for the best tribe of friends. This wonderful gift is perfect for Birthdays's, Christmas and and other special occasion! Perhaps you need a thoughtful gift to show your tride of friends how much you love them or as a thank you gift? 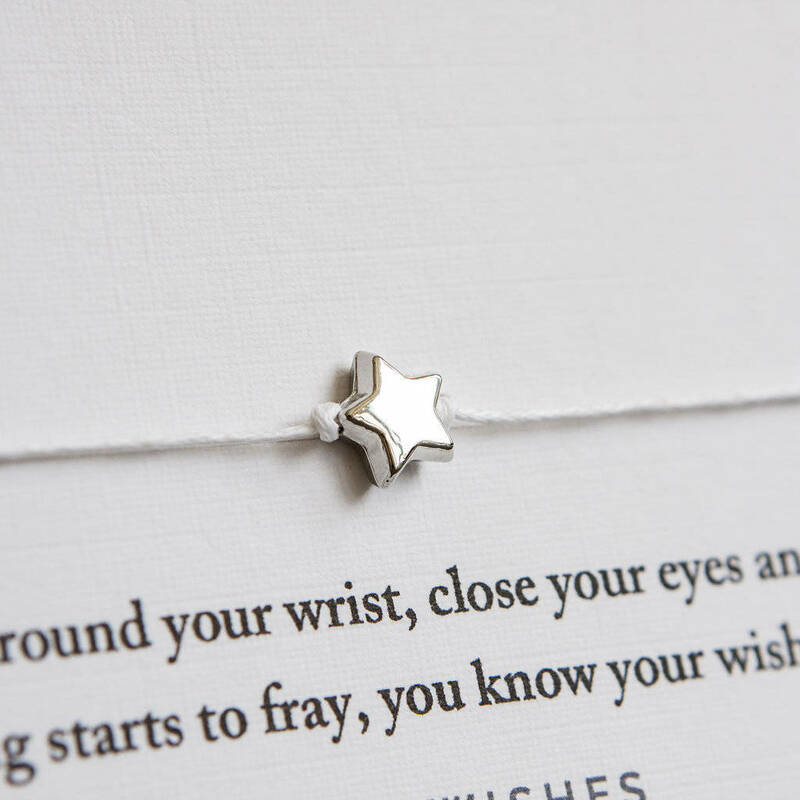 Each of these two beautiful wish bracelets are made from 1mm thick, white waxed cotton cord and finished with a Rhodium silver star bead. They are presented on a 350gsm luxury linen textured A6 card and come with a pretty little white envelope placed inside a clear cellophane pouch. The wish bracelet cords are 35cm in length and come untied, so they will fit any size of wrist. Simply remove the cords from the card and tie to secure in place, then cut off the ends.